Bella Vita | Zonyxa. Unique and contemporary jewellery for Work. Love. Play. The uniqueness of this piece comes from the contrasting shapes that make up each side of the necklace. 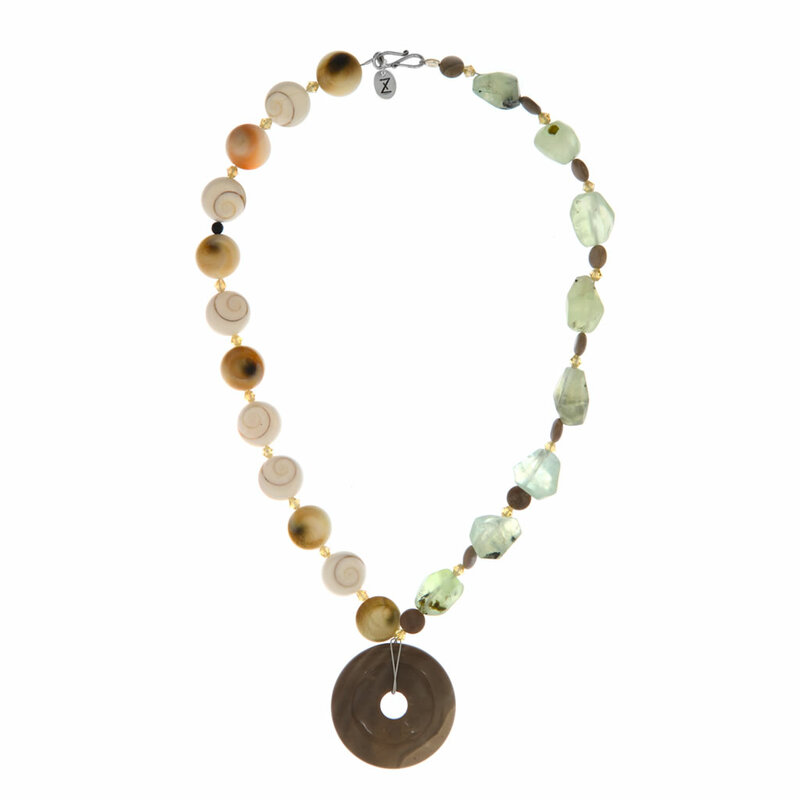 It features flint and prehnite stones and seashells combined with Swarovski crystal beads. Finishing touch is a tactile donut shape flint pendant. Materials: Flint, green prehnite, seashells and Swarovski crystal beads necklace.